Brynn Cartelli is the youngest finalist in The Voice history. Read more here. She sang Adele’s “Skyfall” during The Voice‘s live finale. As of May 27, Cartelli’s performance reached 1 million YouTube views. Cartelli’s pitch-perfect voice, contemporary sound, and emotional depth consistently shine. Here, Cartelli wears a metallic dress as she sings from her heart. She creates a memorable performance as the orchestral strings play. 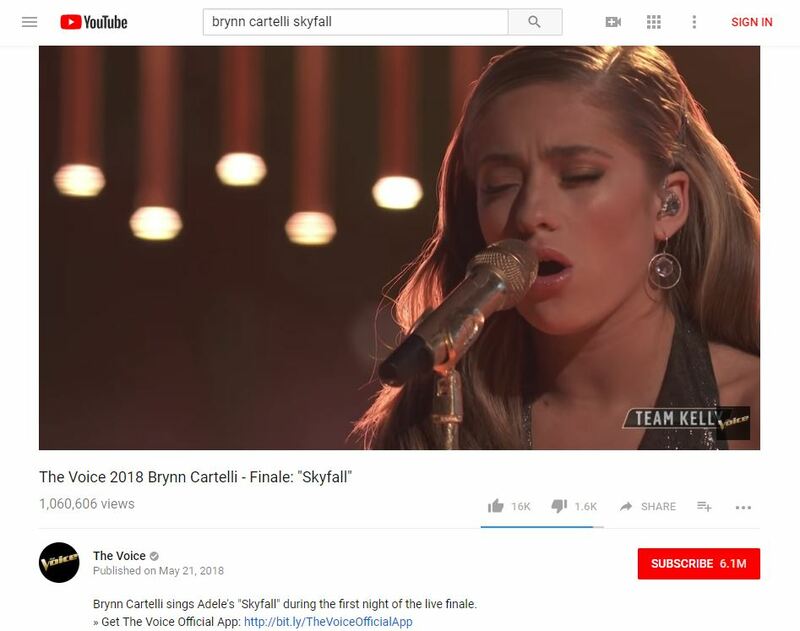 Brynn Cartelli won Season 14 of The Voice as a singer on Kelly Clarkson’s team. She also collaborated with Julia Michaels during The Voice‘s finale. Click here to read more.